Our country stands out for its variety in accomodation: among the mountains, with spa, with outstanding restaurants ... All in search of the same goal: to achieve the most relaxing rest. Explore the options here and book your room. 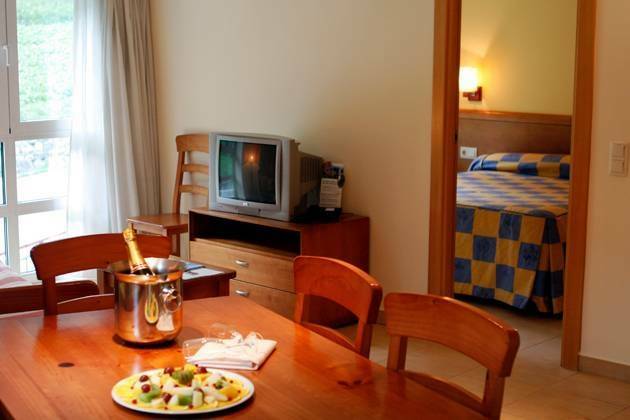 We have made it easy for you to find accommodation in Andorra! 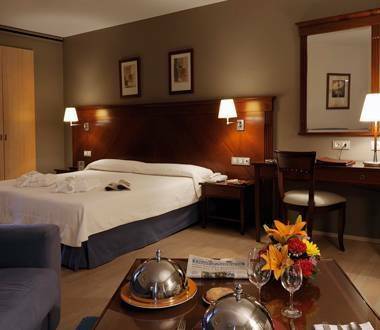 Choose from among the hotels that best suit your tastes and be assured of having the best rest during your break. Choose one of our charming country houses and sleep amidst the snowy landscapes. Stay at a hotel with a spa and experience the benefits of combining rest with relaxation. Are you looking for shops, cinemas, restaurants, activities, etc.? 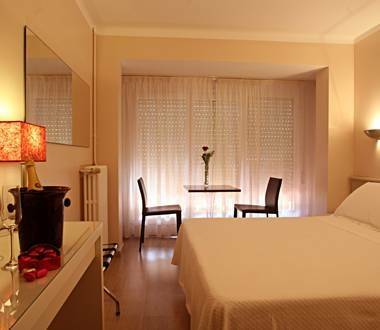 Choose a hotel in the city centre. In cities and in the mountains, campgrounds for families with kids and all-in spas, gastronomic hotels, and apartments with all the conveniences. Andorra has more hotel options than you can imagine. Look through the best options here and find your ideal accommodations. Open your window and touch the sky with your fingertips. Check out these 1,000 metre high mountain refuges! 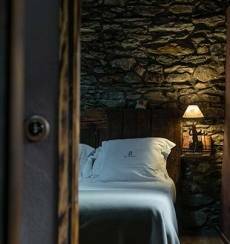 If you're hiking Andorra, stay at one of these country houses for hikers: Get your strength back without leaving the trail! Set up your tent, sleep in your motor home, or stay in a bungalow. And enjoy these rest and recreational areas in the mountains! 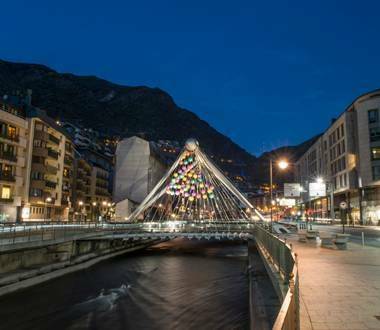 HOTELS IN ANDORRA LA VELLA … AND IN ALL THE PARISHES! If only the best will do and you're looking for four and five-star hotels in Andorra, here are some of your choices. 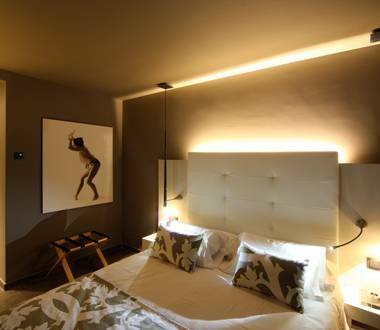 Take a minute to look over the full catalogue of hotels in Andorra. Wherever you go, you’ll always have the perfect place to stay close by. 4 and 5 stars at the foot of the Madriu-Perafita-Claror valley. High quality in the country’s lowest parish. Feel like a VIP among alpine landscapes. The best services in the heart of the Pyrenees. 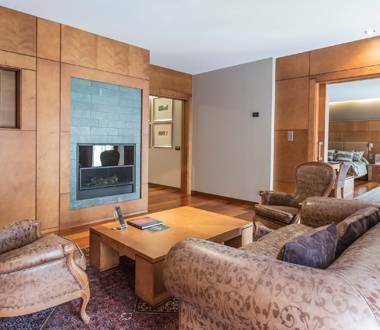 Exclusivity surrounded by the tallest peaks in Andorra. The maximum category of comfort and natural beauty. 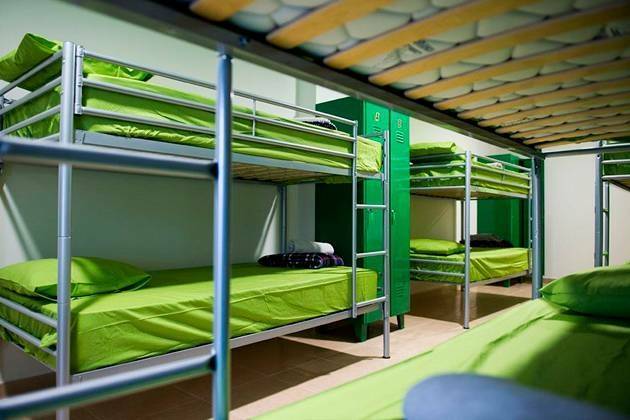 WHAT KIND OF ACCOMMODATION DO YOU LIKE? WE HAVE IT! The classic accommodation... with innovative services. 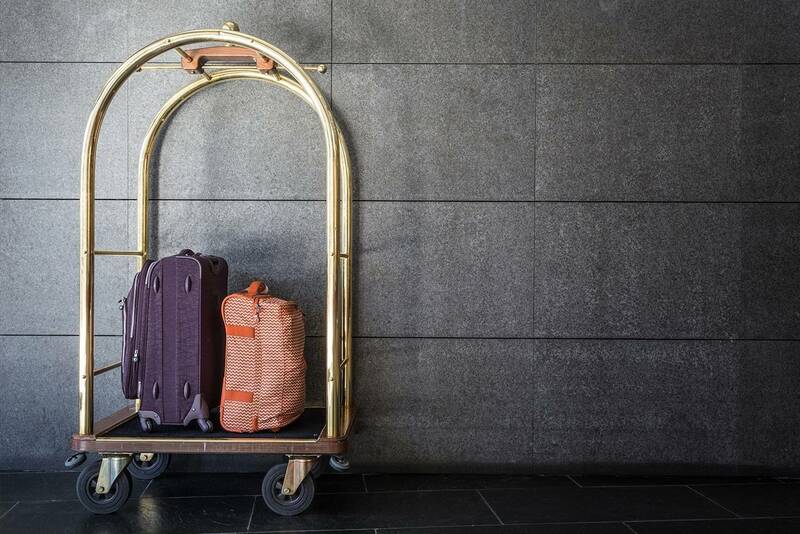 To feel just like at home, but with the comforts of a hotel. Enjoy total freedom at every time of day. Maximum comfort for those who love community accommodation. Over 300 hotels to choose from! 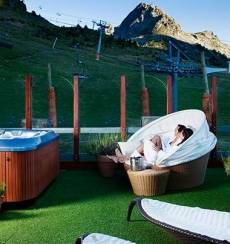 With over 300 hotels throughout the country, Andorra caters for the needs and tastes of all kinds of tourists. 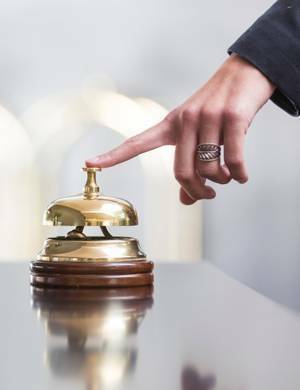 City accommodation, mountain refuges, spa hotels, tourist apartments and a long list of top-quality facilities and friendly services for guests. And many of them are open all year long. Many others concentrate their business in one of the two key seasons: winter or summer. 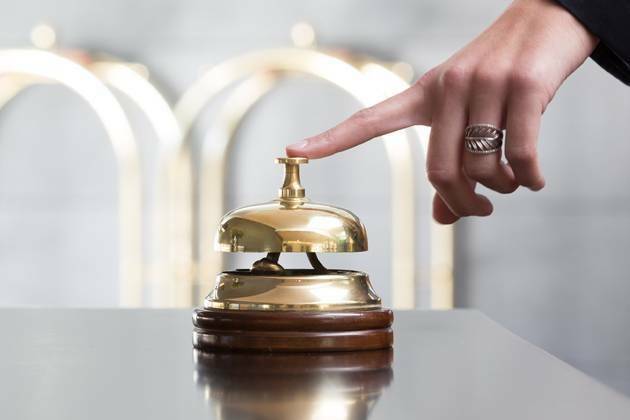 So whatever time of year you choose to visit, you’ll always have a bed waiting for you and a hotel establishment ready to offer you its best services. Accommodation in a city setting or surrounded by nature? This dilemma is easily solved, as there are numerous options in both cases. If shopping is your priority, then you will be interested in staying in a hotel right in the centre. This is true of many of the hotels in Andorra la Vella and Escaldes-Engordany, the urban centre that is home to the main shopping centres and stores. 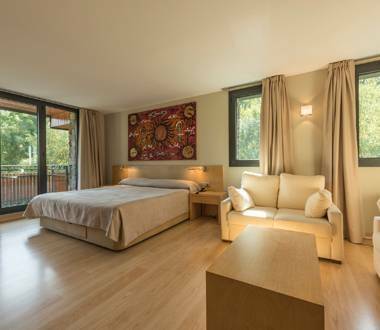 However, if the purpose of your trip is to disconnect and you want to sleep somewhere peaceful, tranquil and quiet, you can choose a rural accommodation in Andorra: they are located on sites of great natural beauty and offer all the services a traveller could need. They are often found at the foot of great hiking routes, although they are not exclusively intended for hikers. If you need relaxation to be a part of your getaway, you can stay at a spa hotel. 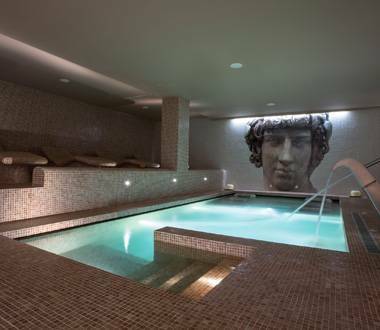 Andorra is a leader in this kind of accommodation, which includes thermal pools, jacuzzis, saunas, hydromassage showers and many other related services, in either indoor or outdoor spaces like solariums and open-air pools. Some of these accommodations are authentic wellness complexes, although they also include sports areas, massage and weights rooms, and many other options. You also have the option of booking a room in any other accommodation in the country and getting a pass for Caldea, the largest thermal spa complex in southern Europe. 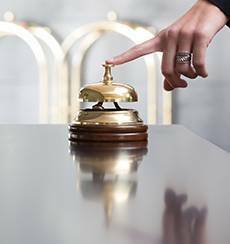 Although the majority of hotels in Andorra are all-encompassing and can be used by any kind of tourist, some have a special classification and are adapted for a specific kind of guest in terms of facilities and services. The so-called gastronomic hotels are a good example: they combine accommodation with a prestigious restaurant, offering guests an all-inclusive package of dinner + board. In summer, another great example of special accommodations are hotels for cyclists, one of the favourite activities of those visiting the Principality in the warmer months. 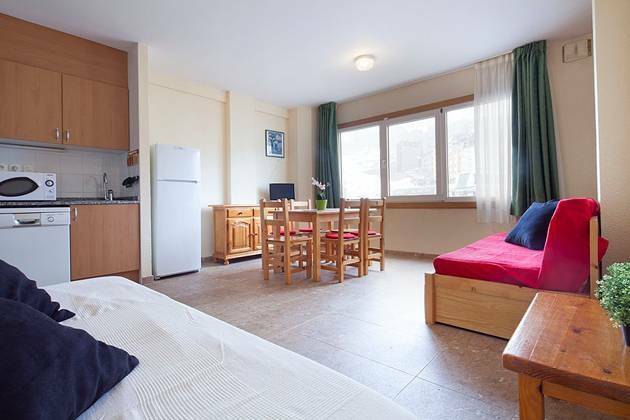 As you can see in the Andorra Cycling Guide, these accommodations are adapted to the needs of these guests, with broader breakfast and lunch timetables, energy-packed menus and a space for safely storing bicycles overnight. 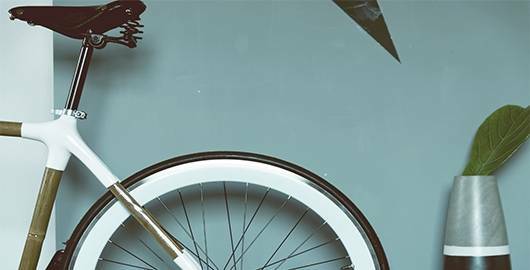 They also have small workshop services, where you can adjust tyre pressure or carry out minor bicycle adjustments. Furthermore, top-level hikers have an exclusive option available for staying overnight in Andorra: unmanned refuges located in alpine areas, without reception or any other hotel services, that provide a perfect shelter for longer excursions throughout the Pyrenees. And don't forget that summer is a perfect season for sleeping in a tent, another option available to you in Andorra. But in winter, with the landscape covered in a beautiful white blanket of snow, you can book at hotels at the foot of the slopes or near ski resort facilities in Andorra. 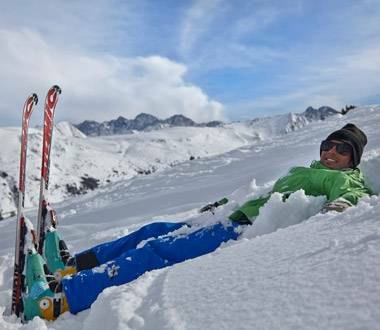 There you can also benefit from services for skiers, including equipment hire. They also have spaces for conveniently storing your sport equipment.